An easy way to save the little money you have, is to get together with other people who are in a similar situation. Stokvel is one of the most popular ways to do this. It makes ubuntu work as people help each other to save as a group for a common goal. There are different kinds of stokvel clubs. 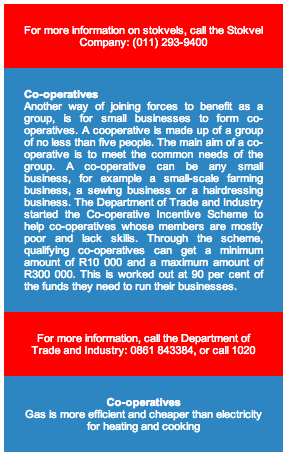 Members usually contribute an equal amount every month and the whole amount is invested. If the club has many members, this can be quite a large amount which earns good interest. Some stokvels pay out members' shares in December or January. Others pay members per month with different members being paid out in different months. If you are a member of a big stokvel club that has many members, you will get a larger share when the profit is paid out. 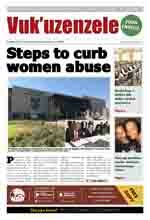 This can help you to pay school fees up front, pay your debt, buy food or build a home. In addition, stokvel clubs also have the power to ask for discounts and to buy in bulk. Bulk buying can save a lot of money. 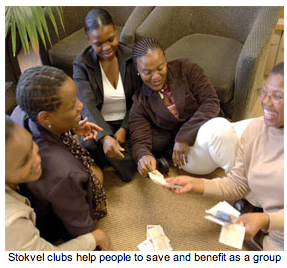 Many people join stokvel clubs so that they have something to turn to during difficult times. If you are a member of a stokvel and you are in financial difficulty, you can use your good standing and trusted stokvel membership to help you by asking for a loan. It is now also possible to open a bank account as a stokvel club. Many banks are beginning to understand the wisdom of Africa and are developing banking products to meet the needs of stokvels. Talk to your local bank about your needs and see if they can help you. It is up to you to join the right kind of stokvel for your specific needs. So, make sure that the stokvel is serving you and your needs. Get together with a group of friends that have similar needs. Use the creativity of Africa to put together your own stokvel with rules that will be best for your needs.